Watch Strapya Youtube and Koharu! 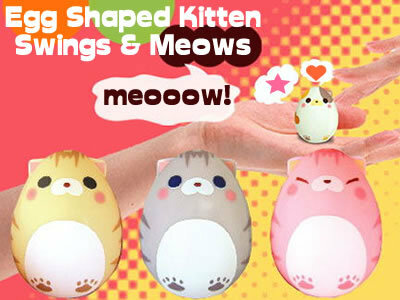 Cute egg-shaped kitten makes you relax and joyful... Let's get new pet :) Put it in your hand or peck it...You can hear two kind of "mew" voices!! Egg + cat ears = cutest new creature! You would love it as it meows in your hand, when you peck. The package is like the left image. Please love it for a long time! Akihabara, Shibuya, Shinjuku and Tokyo! 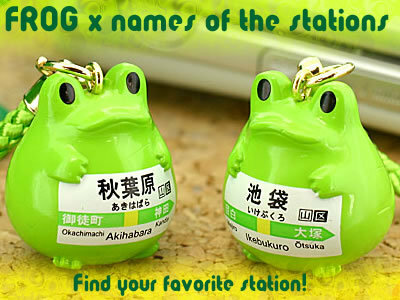 Find your favorite FROG STYLE! Do you know FROG STYLE? FROG STYLE are messengers to cheer up people who are dipressed. Find your FROG STYLE to make you happy. FROG STYLE x Yamanotesen may take you to happy trip to Tokyo city! Mugen Puni Puni EDAMAME Beans Electrical Popping Key Chain - Soybean Pod Keychain - My oh my... Bandai's new weird tiny pop gadget is more weird than bubblewrap key chains! 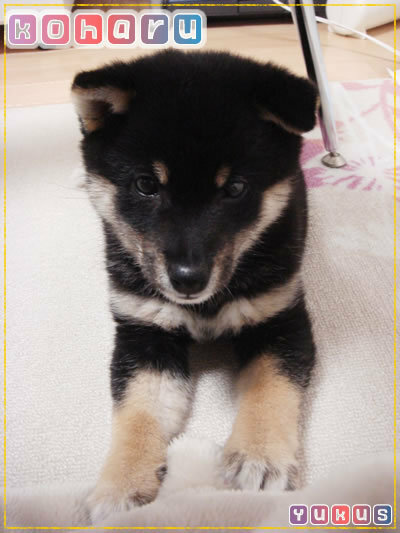 And please check my sweet Mame-shiba dog, KOharu's video too (>v<)/ She is too cute!!! It was raining all day long!! But it was good because I can wear my favorite rain boots :) I'll post up them in the future ^^ You know, I've been posting up foods pictures a lot recently! I'm gotta take more variety of pictures!! But today, I post up food picture too (lol) I think I've told you that I make soda pop jelly a lot lately. 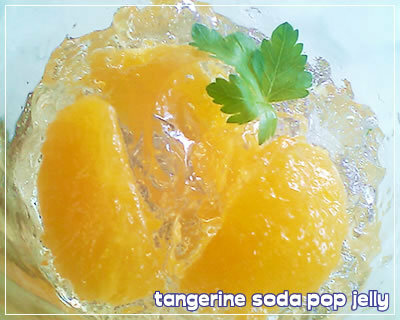 Today I had tangerine soda pop jelly, and it was yummy!!! Yes they are too cool to miss.... 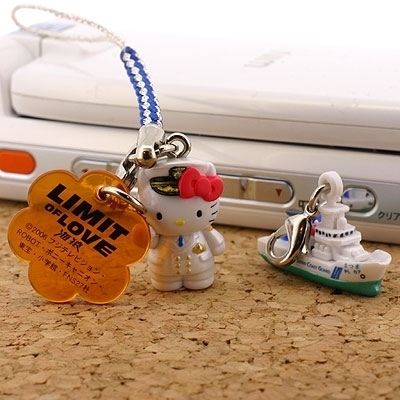 But new Hello Kitty items is something you don't wanna miss, it's too cute to miss (>_<) oh noooooo!! Well have a GREAT weekend everone! Sooooo it is getting hot here, where I live, so I redecorated a living room a little bit. 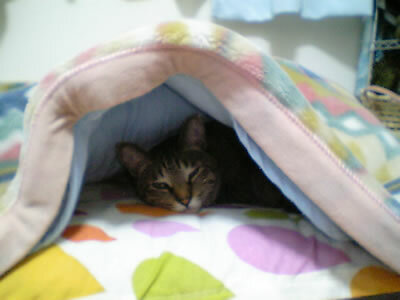 We bought new covers for cushions and rug. Blue colrs brings "summer style" to our room :) Oh and don't forget to see the front! My sweet electric piano ^^ Have you redecorated your room recently? I'm NOT good at cleaning... I don't know where they are come from, you know, the downy little...dust ;S) Well I have to complete cleaning the beginning　of the year!! Also, we (me and my boyfriend) are getting some new furniture :) He is living by himself, so I'm going to live where he lives now. 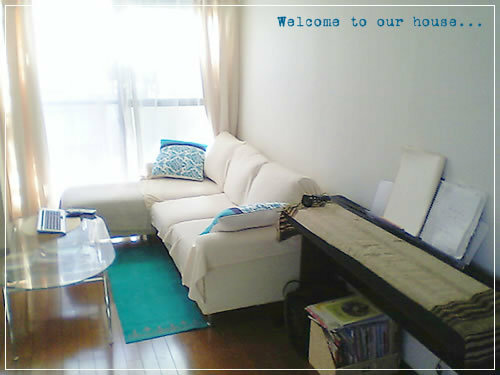 It is so much fun to choose new furniture for new life ^^ Fun! Buuuuuuuuuuuut Before that I noticed that my desktop was kind of messed up X3) I can't be a good wife if I can't keep this tiny space cleeeeeaaaaan!! (My boyfriend is a cleanly person by the way) So, please take a look a photo. I broght a box and put everything in it. ha-ha-ha!! I love this droopy eyes!! 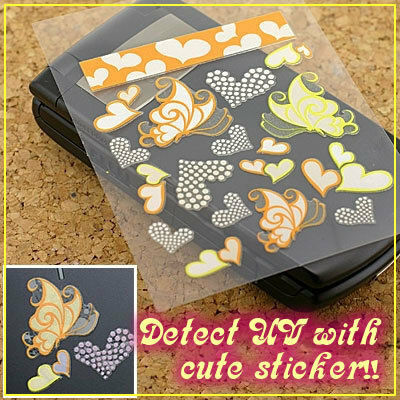 Kawaii* And yellow is my favorite color (wink wink**) And Hey!!! Did you check?! Death Note Limited Figure Collection has restocked!! We thought we couldn't get anymore....but yes! Tomo-san and other Strapya staffs called many places and got them!!! Woooooow that is a big news! Hope I can hear good new from you, sweet strapya friends!! 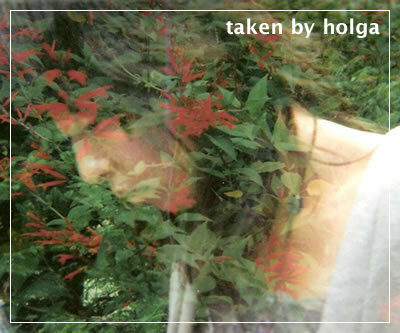 The day we went to the zoo, we brought holga (holga is a toy camera, you can take very mysterious and unique pictures) with us and my boyfrined is very good at taking pictures. This one is one of my favorite! This is a overlaid image, he took me first and took flowers after that. Aren't they gorgeous? Can you see another one starts to show up above the lower rainbow? 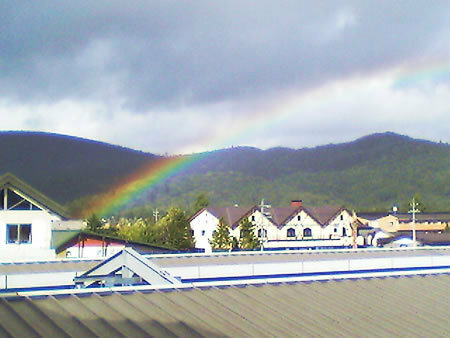 I went to Karuizawa to go to my friend's wedding and then I saw it. 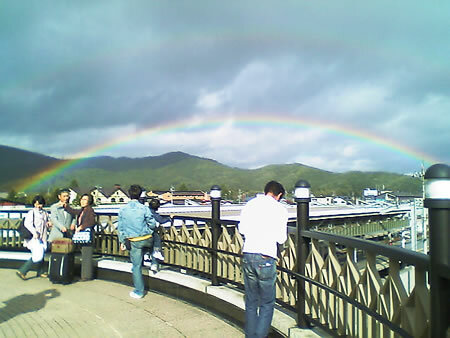 Have you seen rainbow recently??!! 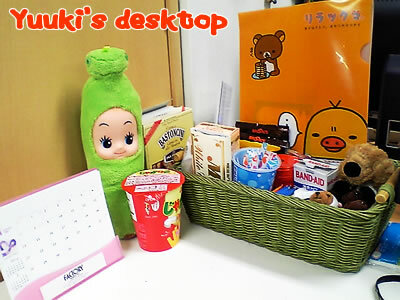 Well I received strapyanize keitai picture from strapya friends, but I'll upload it next time ^^ bye now!! The items attached?? The right one is Chupa Chups Cell Phone Strap. 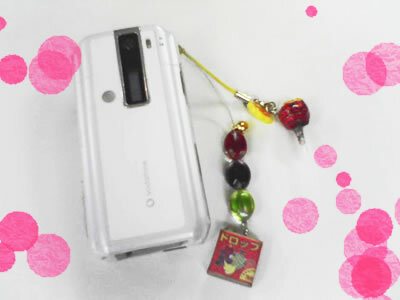 I really wanted to introduce this cute cell phone strap but they were sold out really fast and we are not going to restock them right now (T^T) Well I bought another cell phone strap yesterday(the left one). 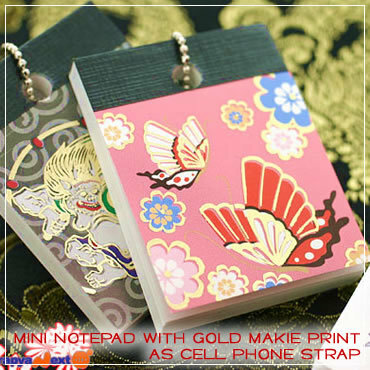 Japan Showa Nostalgic Molded Confection Cell Phone Strap!! 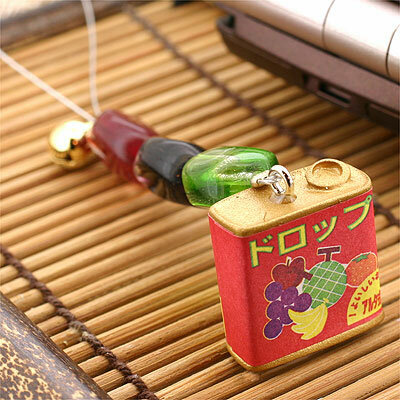 (Drop Candy*) I love this vivid color beads and very detailed miniature candy box. I love Showa retro things....I think the unique colors attract me! 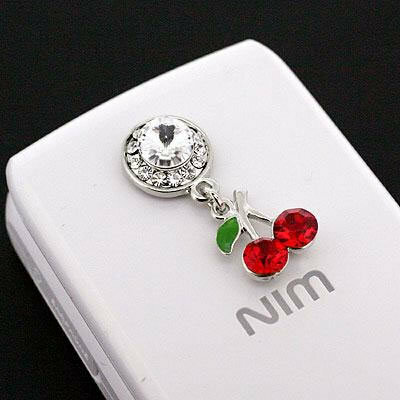 Another item I want to get right now is Jewel pendant charm. This item is not new, but I think they are sooooooooo cute and have to have at least one.... because you can't find these kind of charm easily. I really love this one!! Isn't it cuuuuute??! 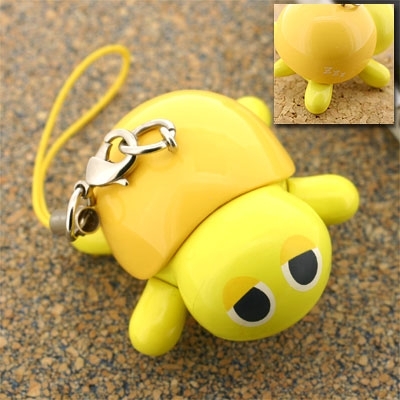 !Check other pendant charms if you haven't checked this iem before (wink wink) Ahhhh so what I have to do is not to buy too many items....lol! !